Home / Unlabelled / How is Technology Changing the Business? First time in the 18th century the business world start changing when Industrial Revolution has begun. Since then many new industries have started and the world has changed. To know more how to encounter, read our pervious article on for Digital marketing solution. To compete with this changing business environment, you need to have great IT services. Click here to visit our services page. Let us understand the way technology has changed the business world. 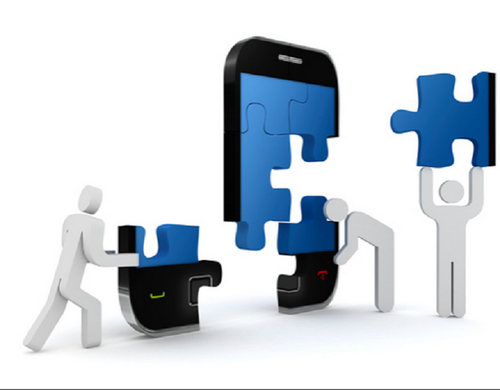 Mobile Solutions: Mobile is the next thing which is changing the future. Every work has moved to mobile and it makes people lives easier. This makes technology in handy and allows you to access the world of internet as and when you want. Even Google is changing its algorithms quiet frequently to enable mobile responsive websites to come on top. The new generation using more mobile to access social sites, shopping, selling and making business easy to do. Cloud Computing: Cloud computing is getting popular day by day as it allows businesses to run without the fear of data loss. With cloud computing, you don’t need to fear from the system downtime, crashes, data loss, easy to move data from one place to other, theft of any device etc. If you have your data available in cloud memory, you can access it from anywhere and reduce your storage and data protection cost. This can be more useful for the startups as it reduces the material cost. Customer Segregation: As the ways to generate and gather information about the customers are increasing, it has created problems for businesses in past to handle such data. But with the change in the technological era, this has become easy. Now businesses are using different type of software’s to segregate customers on the bases of their need. This allows you to design a plane specifically targeting then. This help to increase your sales and customer satisfaction. Easy Connectivity: Those were the old days when it used to take huge time to transfer any communication note. But now it is just a matter of seconds. Mobile phones, emails have made it easy for people to connect with each other. If you want to publish any information and have any new update for your clients, social platforms are the best place to do that. Facebook, Twitter, LinkedIn, YouTube are some of the best platforms which allow you to communicate with the larger group easily. Affordable Pricing and Increase in Functionality: Now, hiring any specific expert is easy and affordable. With the rise in technology, it has created has created huge competition in the market and forced companies to offer you IT Services at the affordable price. Also, with the decrease in cost, they have offered many functionalities which add benefits to your business. This has brought the market of buyers and customers together and offered best services for the startups. Change in Customer Base: The technology has also made a dramatic change in customer base and allowed them to choose from the verity of the companies available in the market. This is because the way people used to find businesses, interact, and pay has changed and need for 24/7 support services. This change in customer nature has also affected businesses and forced them to change their strategy as per market. Change is required to hold customers and build long term business relations. Impact of Social Sites: Who has not heard the name of Facebook, Instagram, Twitter, YouTube, LinkedIn? These are the major games changer in the modern world. Social platforms have brought the world together and connected people. This has empowered common people to ask questions, give feedback, mark complaint directly with the company high authority. Also, it has helped businesses to connect with root buyers and understand their needs. By this, they can re-build their new business strategy. The world is changing as and it is needed for every business to change. Customers are sometimes quite ahead in this race and loved to adopt new technology and businesses have to be in sync with the client in this race. Social platforms, cloud computing, and mobiles are changing the world and it’s time for you to take a step forward. See our SEO services to boost your business.